Bold and stylish design, Bluetooth connectivity, and driven by solar power. 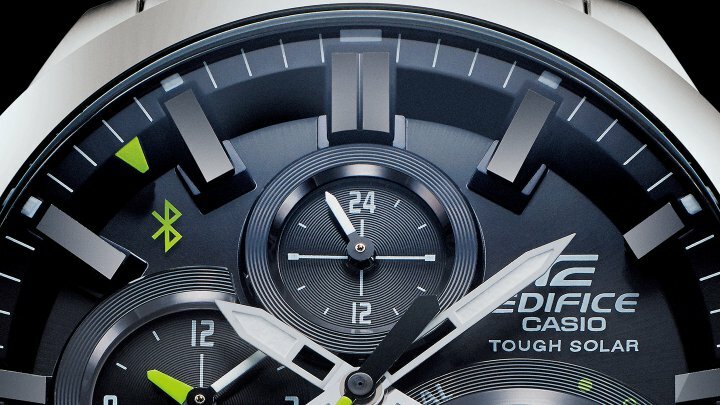 Not your average smartwatch. 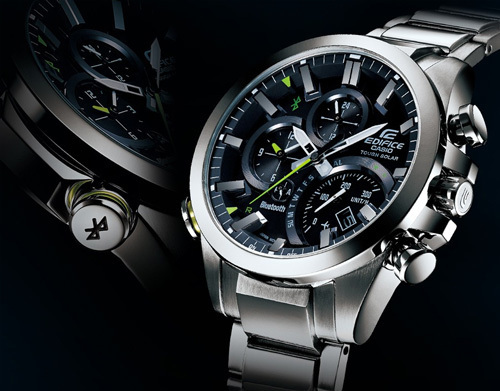 The CASIO Edifice EQB-500 series watches stand out from the crowd of smartwatches. First of all, it has a beautifully designed analogue watch face, instead of a tiny screen. There is no touchscreen here, or apps to install on the watch. 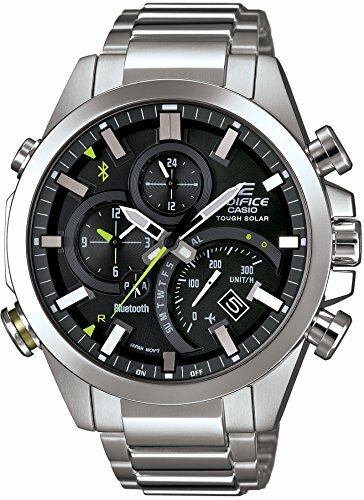 Second, the problem of charging is solved: the watch is equipped with a solar panel, that will provide sufficient energy to drive the mechanic and to connect the watch to your smartphone. With the free mobile app for Android and iOS, you get easy access to 300 cities, and the watch will automatically sync with the correct timezone. A second, smaller dial will show you home time.